The Summer School programme is structured around a series of presentations, talks and discussions in the morning, followed by urban walks in the afternoon, led by specialists from the neighbourhood and accompanied by local residents. Researchers will be encouraged to take digital photos during the walks and engage in creative writing, which will contribute to the creative aims of the Summer School. The walks will be followed by a discussion with young people from the neighbourhoods who will have taken part in workshops related to cultural representations of their neighbourhood. A draft programme is attached to this document. Although the detail is subject to change according to the availability of speakers, it provides a basis for the format of the Summer School. The Summer School aims to foster an interdisciplinary learning and creative environment in order to facilitate knowledge transfer and synthesis between theory and practice of suburban space. It will be particularly relevant to those with an interest in the representations of the urban periphery, from different disciplinary perspectives. We aim to recruit a range of researchers with an active involvement in debates around the nature of city spaces and how artistic images might not only convey meaning but can also contribute to advancing knowledge and understanding about communities on the periphery and challenging the prejudice attached to them. Attendance at the Summer School is free, although participants are expected to cover the costs of their travel, accommodation, breakfast and evening dinner. Lunch and tea will be provided. The number of places at the Summer School is limited to 20 in total. The Summer School will provide participants with a structured framework of theoretical talks, discussions and debates, visual presentations and urban walks, including the opportunity to capture images of the suburbs through photography. Participants will immerse themselves in a suburban environment where they are expected to share in the experience of knowledge transfer which will advance their knowledge on suburban communities. They will benefit from opportunities to exchange their views and experience with scholars, researchers, artists, practitioners, and members of the communities involved in the Summer School which will help them develop a nuanced understanding of the banlieue subculture and social phenomena attached to the suburbs. At the end of the Summer School, a touring exhibition will be organized with a curated selection of participants’ photographs and written texts, provided by both the researchers as well as young people from the suburbs. 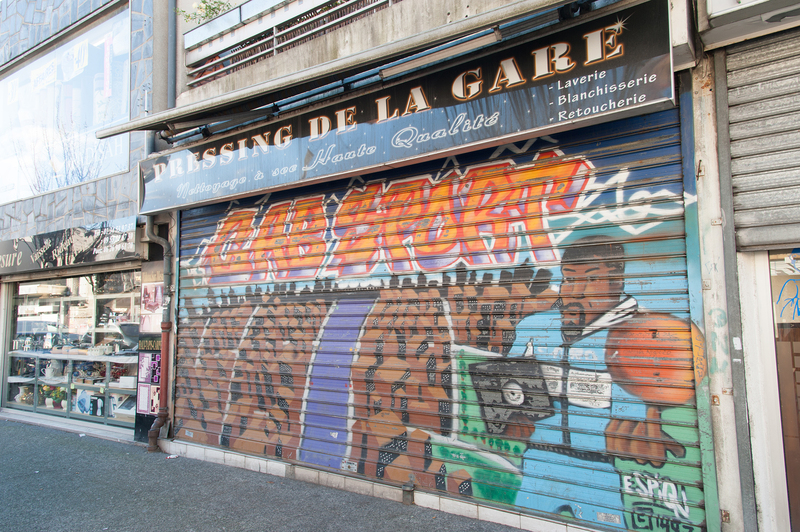 This work will be showcased in France, Britain and other European countries through an exhibition and a bilingual non-academic book communicating the 'banlieue' experience beyond its locality and providing a resource to challenge negative stereotypes. The working language of the Summer School will be French but some of the creative contributions may be produced in English. Participants are encouraged to bring a digital camera, or mobile phone with camera, so that photos taken on the urban walks can be uploaded to Facebook or other social media platforms. Please ensure that all equipment is covered by insurance as the Summer School takes no responsibility for items lost or stolen whilst attending or travelling to the course. For participants who do not live in the Paris area, hotels will be suggested that are near the Summer School venue. Details will be provided at a later date.